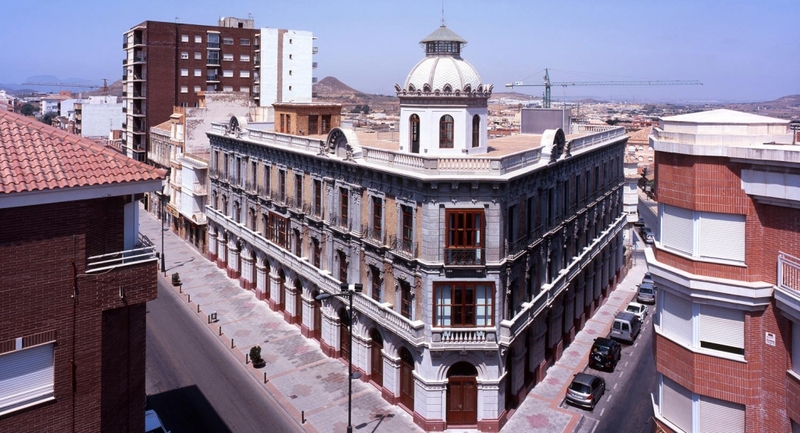 The project is located in the city centre of La Unión, a typical industrial city of the “Región de Murcia”. 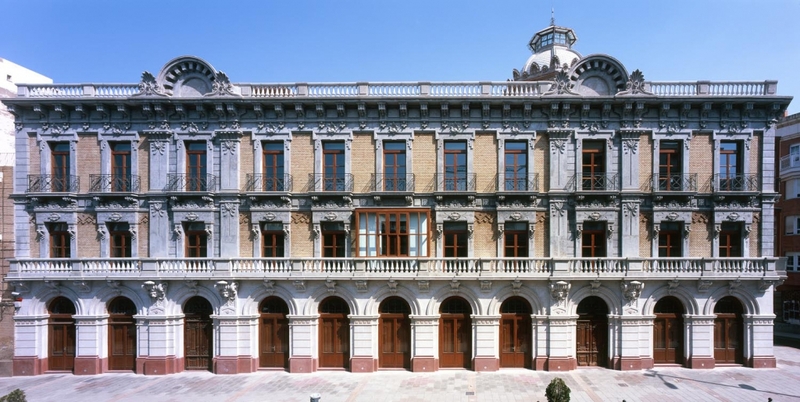 The old building (‘Casa del Piñón’) was originally designed by the architect Pedro Cerdán (Torre Pacheco 1863 – Madrid 1950), who is the author of several projects in ‘La Unión’ and Cartagena. The main volume has the façade in the Mayor Street, and it is V-shaped, and the other volume in the North part of the building closes de ‘V’. 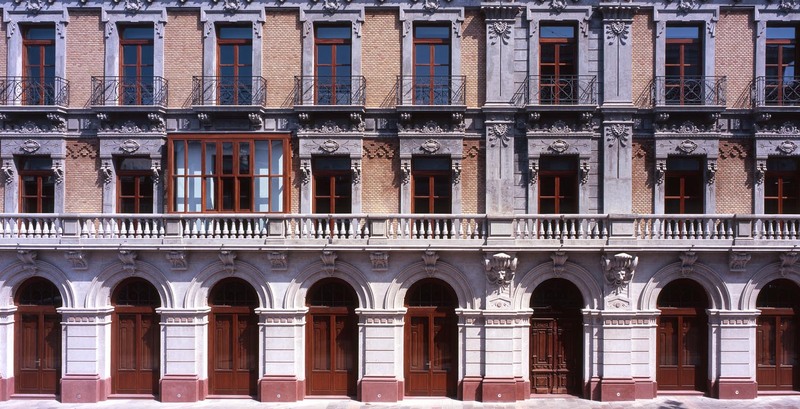 The main body of the building has the representative facades, meanwhile the secondary building is in the back. 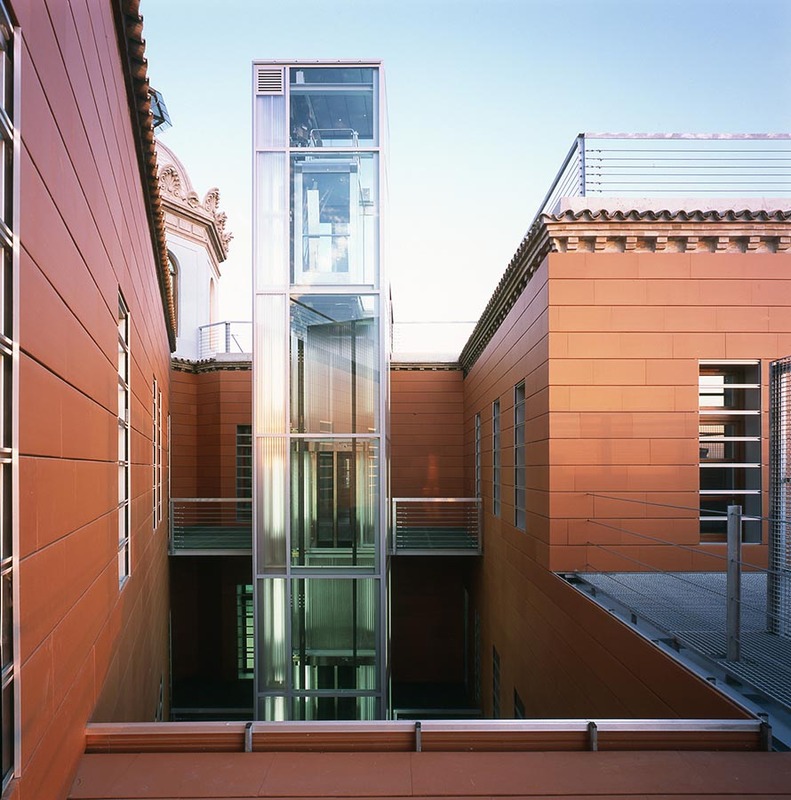 The whole intervention is organized around two courtyards, one regular, and another irregular, and it has two wings that are connected by the main stair. On the second floor has a terrace where you can enjoy the views to the courtyards. 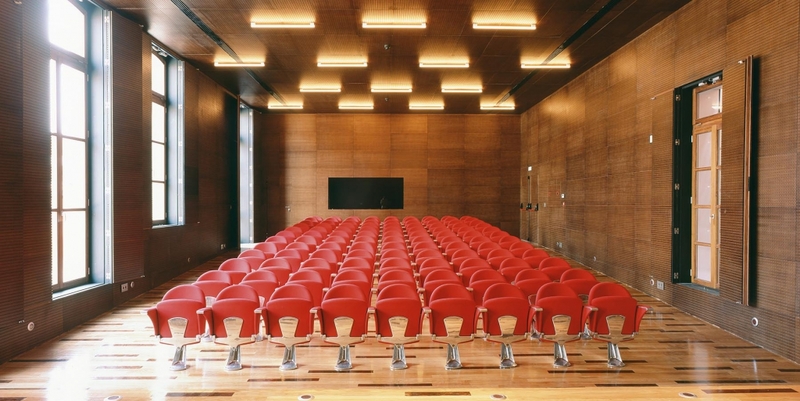 This building is a complement of the main building because of its formal language and its organization. This old building is adapted in order to take in the new Council town offices. The roof is opened as a public level, in order to use it to different open-air events, daytime or night time, because it offers the most impressive panoramas. 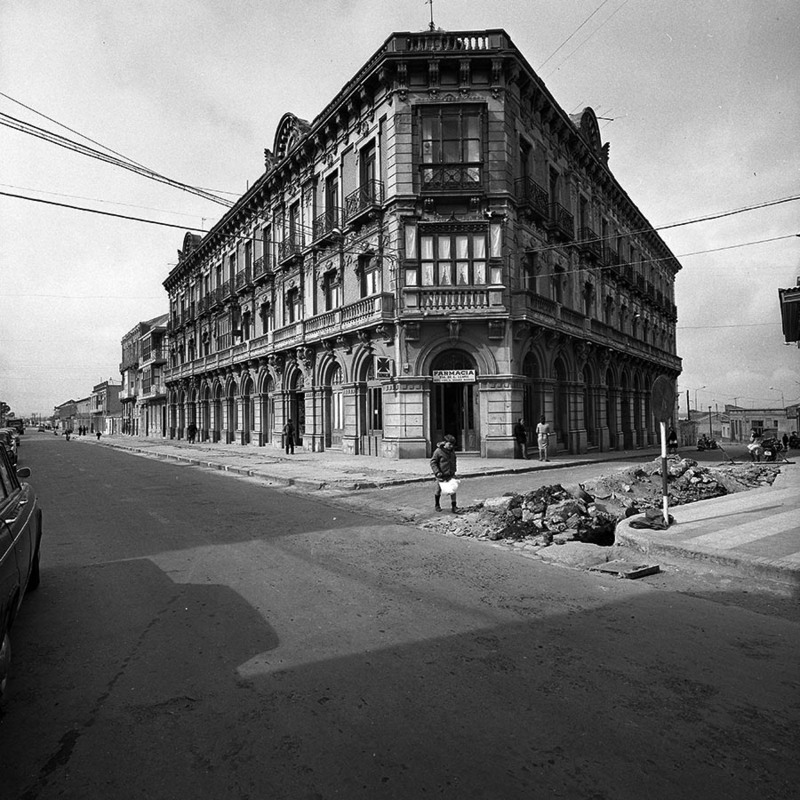 The building keeps the original volume and all the facades (the interior ones and the exterior ones). – The main access: it is the representative entrance, and you can access from Mayor Street. 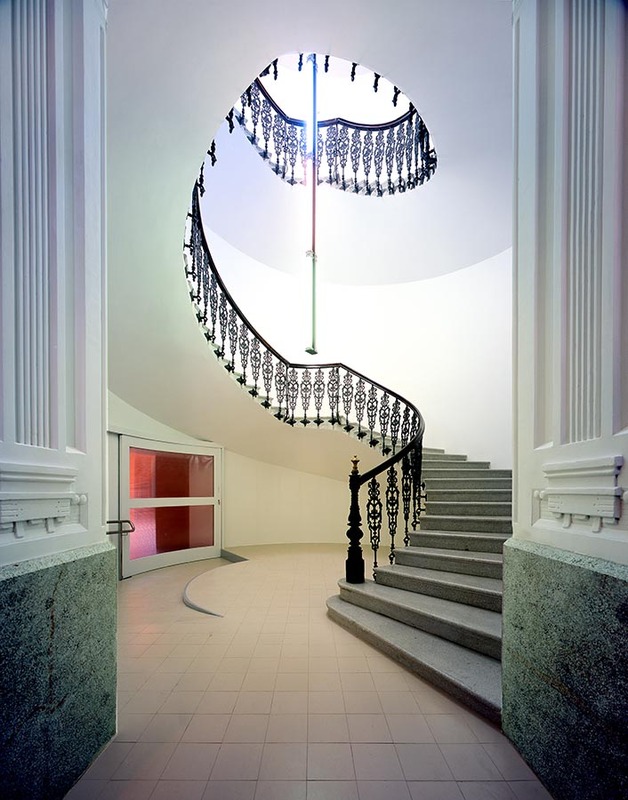 This stair is the most distinguished one, with circular shape and covered by a dome with a skylight. – The second Access: the service access and stairs. – The third access: the emergency exit. 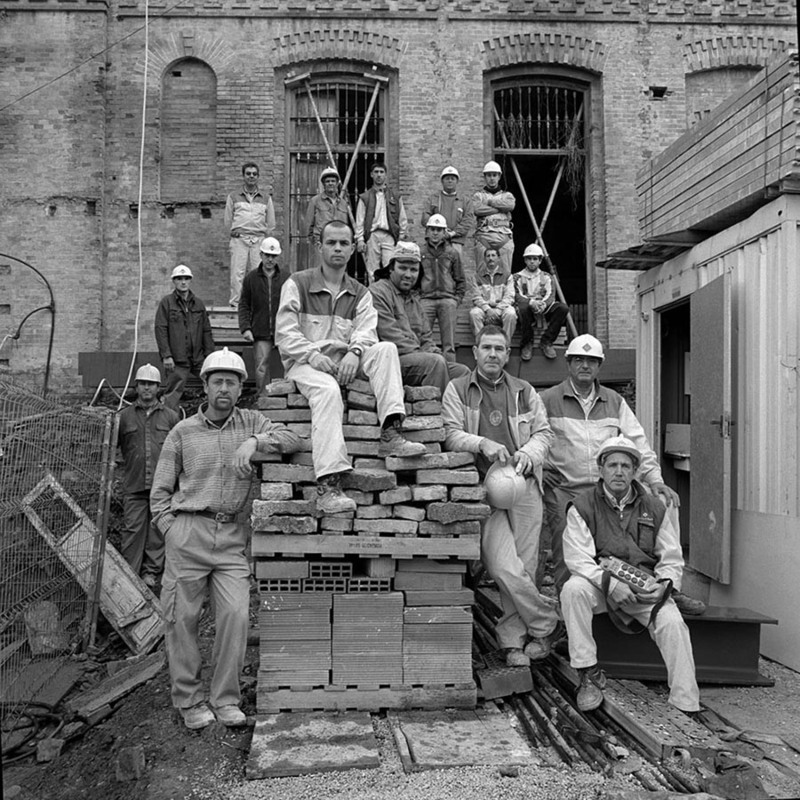 * we rescue the historical image of the old building: its shape, its structure, facades and courtyards. * the volume and interior order are highlighted. They organize the space, and the different levels. 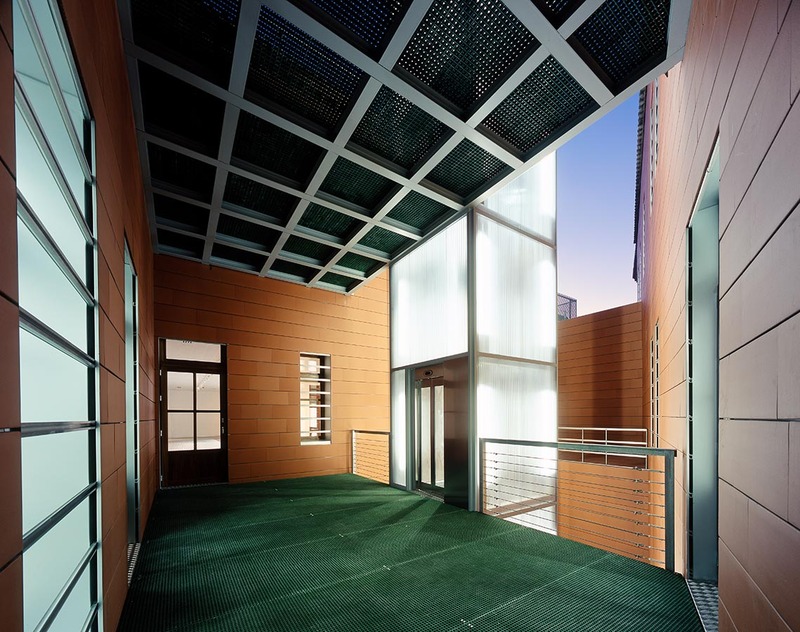 * The courtyard has special characteristics that have to be maximized. * The roof is considered as a new public space, and new uses are proposed. Residential building “Mr Witt” restoration. Cartagena.